I love fish and chips and yes I have been to both Chip Shops in Brooklyn. 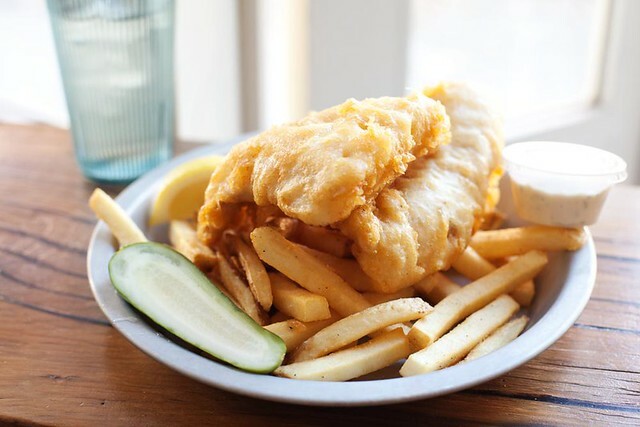 Fish and chips is something that I get whenever I see it on a menu, though of course depending on where I am. I’m not going to order fish and chips at a burger joint but I will order fish and chips at an Irish Pub. Anyways, so last week I found myself having lunch with a friend at Lobster Joint, conveniently close to Eastern District in Greenpoint. So how was the food? 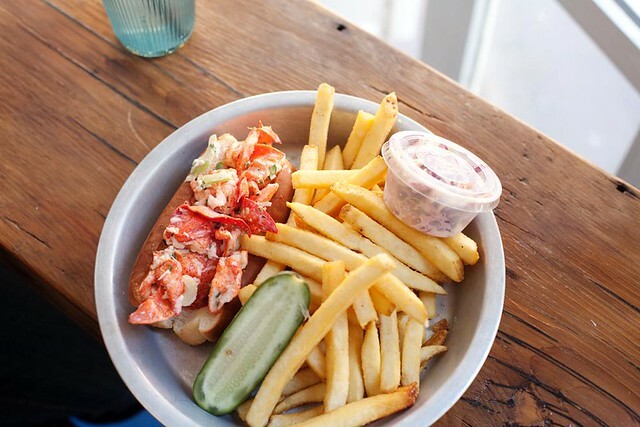 Here’s what my friend had to say about her lobster roll. Fish and chips is finger food. Oh you might burn you fingers trying to tear a piece off but it just taste so much better eating it with your fingers than forks. The fish and chips ($14) at Lobster Joint was excellent. Big giant pieces of fish, fried to perfection. Nice thin layer of crunchy exterior, while keeping the fish moist and flaky. The fries, also, were excellent. It was a nice lunch, sitting by the windows, catching up with a friend. After lunch I walked straight into Eastern District to fill up my growler. 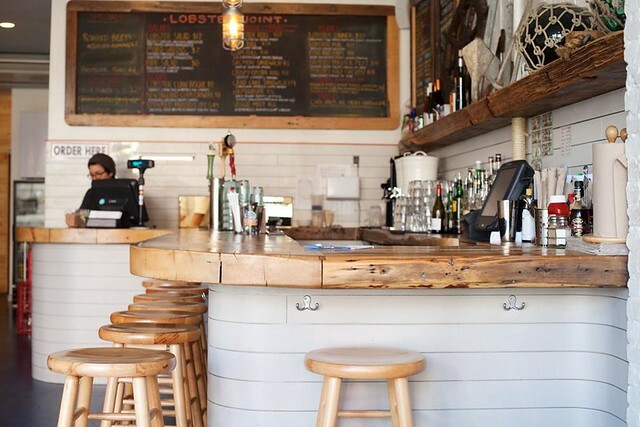 If I ever move out of Boerum Hill, Greenpoint might be on top of my “where to move to next” list!